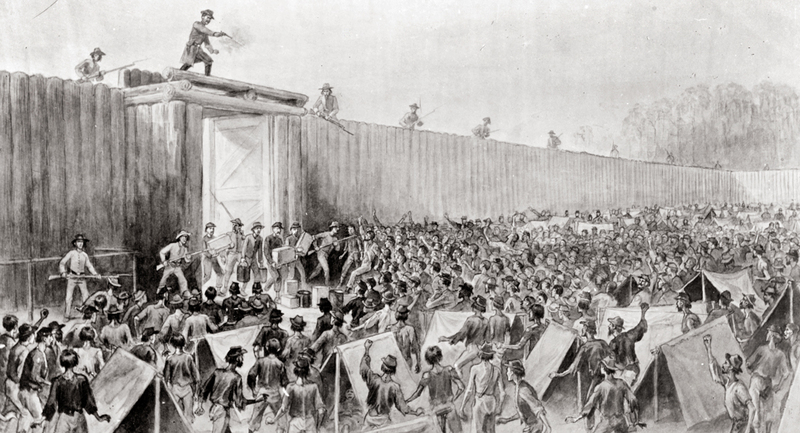 Andersonville was the notorious Confederate prison built in February of 1864 to accommodate the increasing number of Union soldiers captured in various theaters of the Civil War. In the fourteen months the prison was operational forty-five thousand Union prisoners-of-war would walk through the stockade gates at Andersonville – over thirteen thousand would find their final resting place there. The horrendous mortality rate at the prison, due mainly to starvation and neglect, made Andersonville as deadly as any battlefield of the war. When the war ended testimony of what the Union prisoners had endured was heard in the halls of Congress. The hearings led to the arrest and eventual execution of the commandant of the prison, Capt. Henry Wirz. It’s important to note and a testament to the horrendous war crimes at Andersonville that Wirz was the only Confederate executed after the war. Although there were over one hundred and fifty military prisons built both north and south during the Civil War Andersonville stands out for the sheer size of the atrocity that occurred there. Within a few months of the end of the war the thirteen thousand soldiers ingloriously buried in mass graves at Andersonville were carefully disinterred and ceremoniously reburied in a new National Cemetery. Widely publicized at the time the location of the prison grounds were also preserved and together with the cemetery would later become a National Historic Site. The story of what happened at Andersonville in 1864 still resonates today. In 1996 the hollywood film, Andersonville, visualized the story of the notorious prison for modern audiences and in 1999 part of the grounds at Andersonville were chosen as the location of the new National Prisoner of War Museum. Books on the subject of Civil War era military prisons continue to be published today and is a subject that remains contentious. Case and point – along the road to Andersonville there is still an old Georgia State plaque dedicated to Capt. 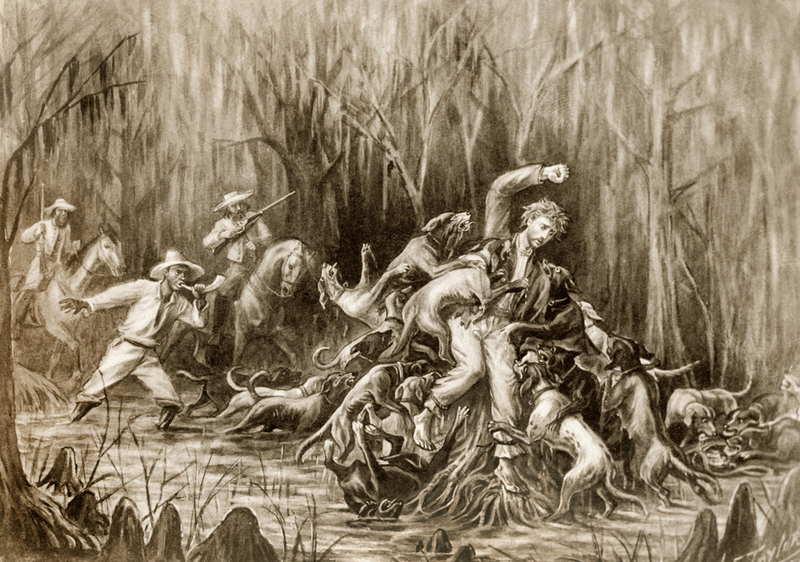 Henry Wirz – praising him as a hero of the Confederacy.